As a nonprofit social service provider, Child & Family relies on the generous philanthropic support of individuals, families, corporations and foundations to advance our mission of creating a strong community. Every donation, no matter the size, will foster our continued growth and success. In-Kind Gifts Child & Family welcomes all in-kind donations, whether it be gift cards, clothing, household appliances, furniture, toys and more. Matching Gifts Your gift to Child & Family may have an even greater impact if your employer offers a matching gift program. Contact your company representative to see if your employer matches charitable donations. Tribute Gifts Make traditional gift-giving occasions particularly meaningful by helping children and families in Rhode Island to have healthier, happier futures. 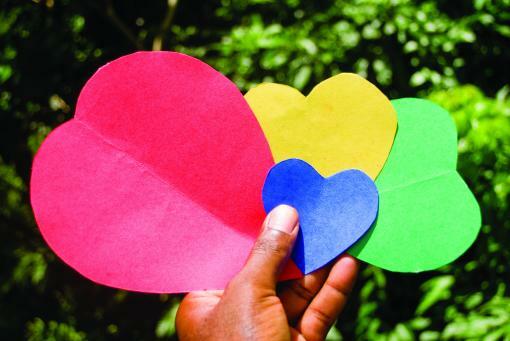 Whether it is Mothers/Fathers Day, a birthday, wedding, anniversary or other celebrated occasion, consider asking those who are celebrating with you to give a donation to Child & Family in lieu of gifts. Memorial Gifts Honor the memory of your loved one by making a gift and asking your family and friends to make a similar gift in their name. All memorial gifts will be acknowledged through a personal note to the family of your loved one. Planned Giving Planned gifts allow your values to continue beyond your lifetime. Planned gifts are typically made through your will or estate plans to benefit Child & Family after you are gone. 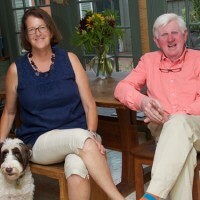 In 2015 Child & Family partnered with The Rhode Island Foundation and established the Townsend Planned Giving Fund named after Ellen Townsend and her brother who in 1866 saw a need in the community and graciously donated their family home to help children orphaned immediately after the Civil War. To learn more about this fund click here. Special Events Child & Family hosts several special fund raising events each year. Learn more about our events and how you can support them. Learn More About Ways To Give by contacting Betsy Akin, Child & Family’s Vice President for Fund Development, at 401-848-4150 or bakin@childandfamilyri.org. Download, complete and return the Donation form below. Would you like to discuss a gift or sponsorship? Contact our Fund Development Office at 401-848-4150. To make a gift by mail, visit the Ways to Give page to download our donation form. Interested in making a non-monetary donation to Child & Family? Click Here for our current policy regarding in-kind donations. Thank you! Interested in supporting our "Kitchen in a Basket" program?